Over the past 20 years, we’ve worked with farmers and our members to lay a foundation for the future of farming in Maine-and thanks to you, we’ve made so much progress. The Dostie Farm is just one example of how, together, we can ensure farms get the support they need as they transition from one generation to the next. As hundreds of thousands of acres of Maine’s farmland are changing hands, and development pressure looms, we need your support more than ever to ensure Maine’s best farmland stays in farming, and will be available for agriculture forever. 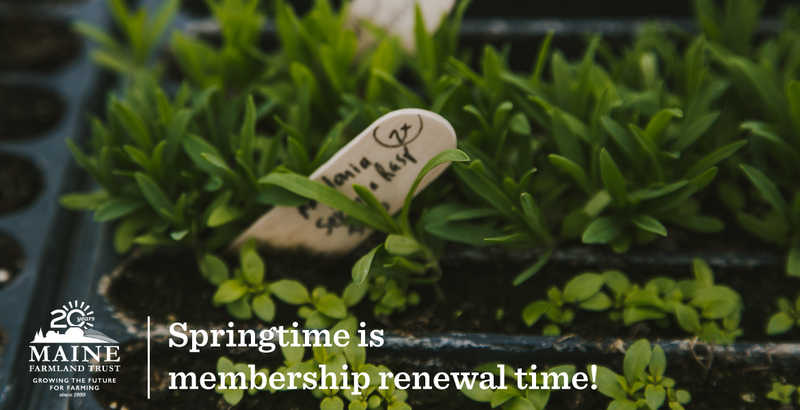 Thank you for being part of this work and renewing your membership today.